This limited edition bottle has been created by Artist Sarah Owusu in partnership with Give Me Tap. As a company passionate about providing water where the heart is: home. We wanted to mark the bottles with the African continent as 100% of our projects are here. This unique bottle has been painted with 4 specific colours, Black to represent the people, yellow to represent the sun and the gold on the land, green to represent the richness of the land and orange to represent the harvest. These bottles are gorgeous to touch as they come in a soft-touch matte finish. Every bottle gives a person in Africa 5 years of clean drinking water. The soft-touch rubber matte white. 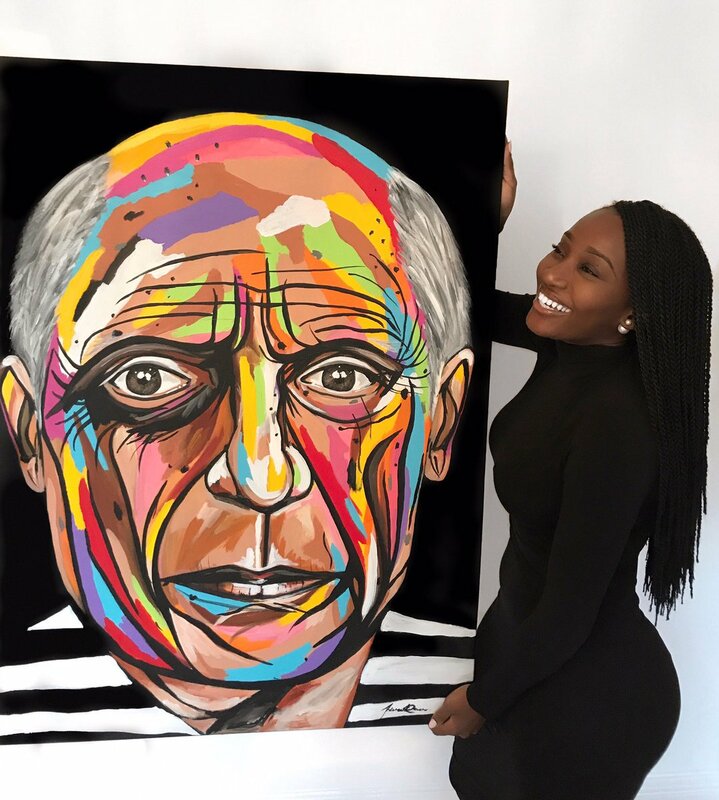 Sarah Owusu is a young, gifted, African artist whose colourful pieces often pack a powerful punch. The Ghanaian artists has a unique gift which she discovered whilst dealing with a difficult recovery and now she uses her gift to celebrate black history. She strives to show how we can use bold colours and encompass traditional African symbolism in a contemporary way to emphasize how beautiful and brilliant African-inspired art can be. Together, we wanted to showcase our connecting to the people we support. The ‘Owusuism’ GiveMeTap collection showcases some of Sarah's work.